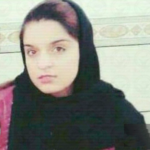 Human Rights Activists News Agency (HRANA)- On the night of Monday, November 12, 2018, Sima Damouri, a student under the age of 18, died by suicide in Kohgiluyeh and Boyer-Ahmad Province. A close source speculated that a family dispute drove her to take her own life. Her funeral was held on November 13th. She was a resident of Likak in Bahmayi county. In another incident reported today, a young woman, in an apparent suicide attempt, landed on a teacher while falling from the roof of a school. As of the date of this report, no further information was available about the incident. According to Iran’s Coroner Organization, teen suicide accounts for 7% of all suicides in Iran.